Astro Boy will be landing on our screens in October this year, it’s been confirmed. For those who don’t know, ‘Astro Boy’ is an anime sci-fi series set in a dystopian future where humans and androids coexist. It’s main character is a powerful robot called Astro Boy (Astro for short), who was created by a great scientist called Doctor Tenma following the death of his son Tobio. Astro is gifted with awesome robot powers and skills, as well as the ability to experience human emotions. Astro has fought crime, evil, and injustice across five decades of great comic and television series. Most of his enemies are robot-hating humans, robots gone berserk, or alien invaders. Almost every story includes a battle involving Astro and other robots. Cool huh? 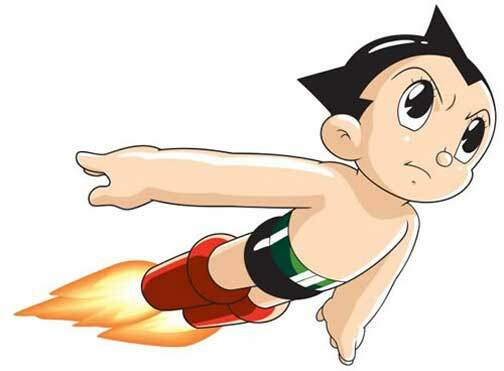 Astro Boy was the first Anime to be exported to the West. Here’s the Astro that most of us will recognise. Finally, the trailer for his upcoming movie, which I’m pretty excited about. Astro is a cultural icon in my eyes, and for me is the strongest symbol of a Japanese media form being highly attractive to a Western eye, together with Hello Kitty. Who’s with me? Would love to hear some thoughts.